It’s always a good time for chocolate and peanut butter! 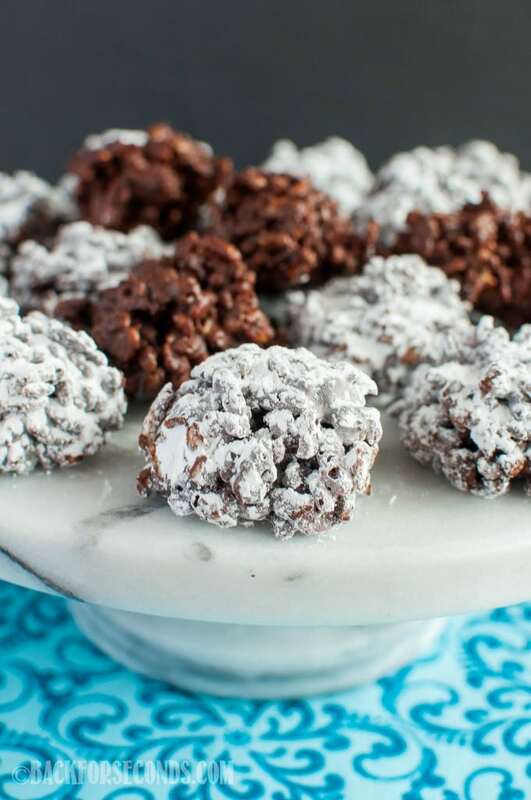 Especially when it’s in the form of a seriously addicting no bake cookie! You won’t be able to stop at just one! My kids are kind of obsessed with Muddy Buddies. You know about Muddy Buddies, right? Ok, first you need to check out these Cupcake Muddy Buddies, and these S’mores Muddy Buddies, and definitely these Lemon Pie Muddy Buddies!! 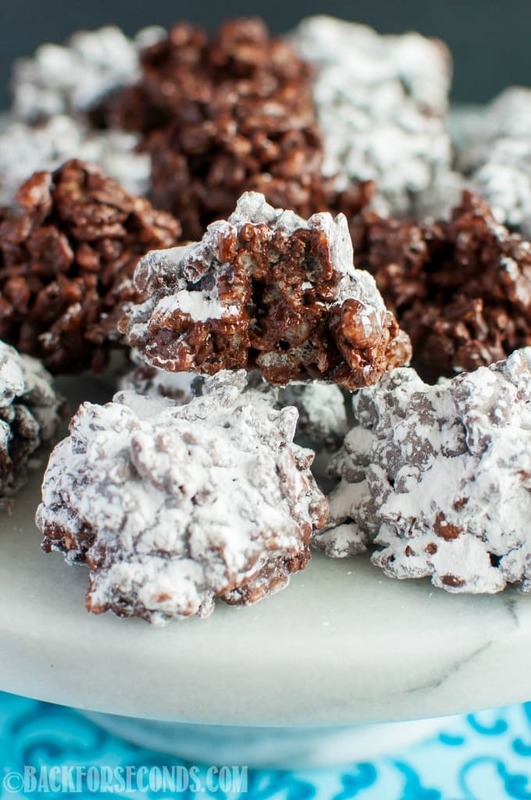 If you haven’t had muddy buddies before, run to the kitchen and make some now! You won’t be sorry. So, anyway, my kids are always asking if we can make some, and this time I wanted to switch it up a bit. I had a box of rice krispie cereal in the pantry, and immediately got the idea for these cookies. These cookies are just as addicting as the original. 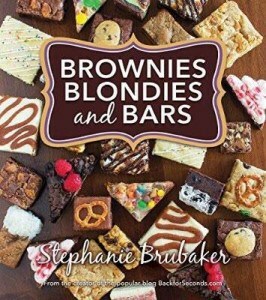 They are perfect for any occasion, and there is no baking involved. Enjoy! Do the rice krispies get soggy? Is there a way to make these without peanut butter? I substitute wow butter in mine all the time. You can get it at most supermarkets. It’s a soybutter alternative to peanut butter and it tastes the best in the recipes. It’s not the best on its own though so I only use it in recipes like this. Oh! These cookies look beyond amazing!! I want one right now! Looks delicious! How long will these stay fresh in the refrigerator? I don’t think that can be accurately answered since it depends on how big you dish them out. I’m guessing “a lot” since it uses five cups of cereal. I made these using a cacao bar and all natural peanut butter. They are quite scrummy! 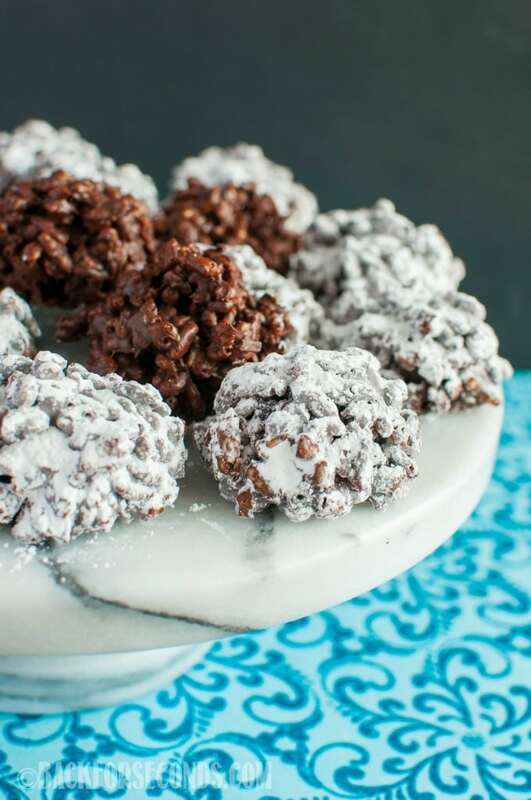 These no-bake treats sound wonderful. Can you use crunchy peanut butter instead of smooth? You may need to add extra peanut butter if you use crunchy, since this is what holds the cookies together. why wouldnt you use chex cereal?